Large and persistent inequalities in regional economic performance within countries exist throughout the OECD. The 2019 Regional Outlook discusses the underlying causes of economic disparities across regions and highlights the need for place-based policies to address them. The report makes the case that place-based policies are especially important in light of growing public discontent with the economic, social and political status quo in many regions. The geographical patterns of public discontent are closely related to the degree of regional inequalities and policies to address public discontent need to have a place-based dimension. Place-based policies will become even more important in the future due to several technological, demographic and environmental megatrends. 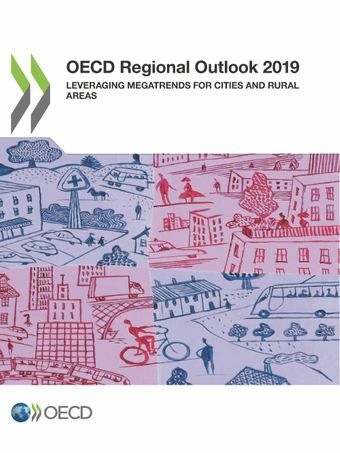 This Regional Outlook emphasises that all regions will be affected by these megatrends, but their effects will vary from region to region, even within the same country. Appropriate policy responses need to take this diversity into account and should be tailored to the region-specific impacts of global megatrends. Insofar as possible, this Regional Outlook presents steps that policy makers can take today to make the next generation of regional policies fit for the future.